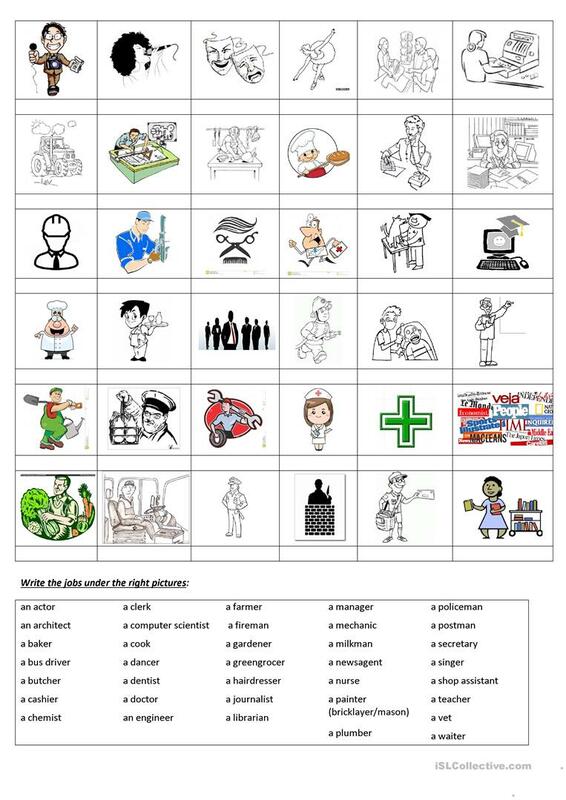 You'll find 36 pictures to match with 36 words referring to various jobs and activities our pupils may need to talk about their family or future career. Please enjoy ! This printable, downloadable handout is a great resource for business/professional students, high school students, elementary school students, adults and students with special educational needs, learning difficulties, e.g. dyslexia at Elementary (A1), Pre-intermediate (A2) and Intermediate (B1) level. 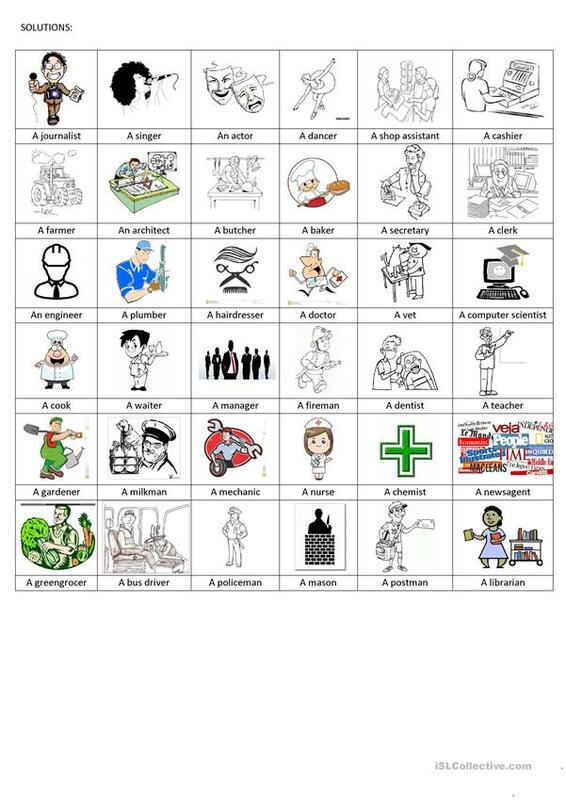 It is a useful material for teaching Nouns in English, and was designed for improving your learners' Spelling, Speaking, Reading and Writing skills. It features the topic and words of Jobs, work. The exercises come with the solutions. mll63 is from/lives in France and has been a member of iSLCollective since 2012-11-25 16:00:48. mll63 last logged in on 2019-04-04 09:04:32, and has shared 4 resources on iSLCollective so far.